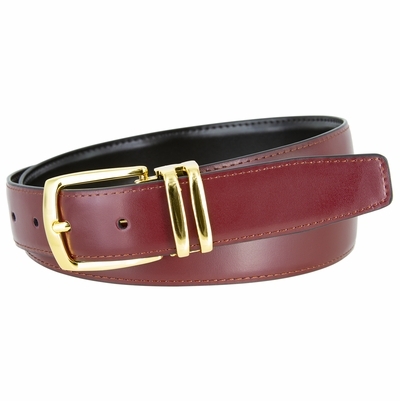 Belt width: 1 1/8" Wide. Men's Dress Smooth Reversible Genuine Leather Strap with Stitched Edges. Buckle dimension: approx 1-1/2" X 2-1/2". Gold Plated Clamp belt buckle with double loop.